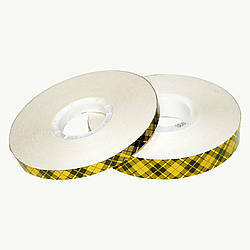 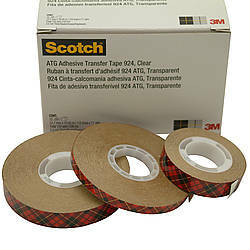 3M Scotch 714 ATG Adhesive Applicator allows controlled application of 1/4-inch wide ATG pressure-sensitive adhesive tape with just the touch of your finger. 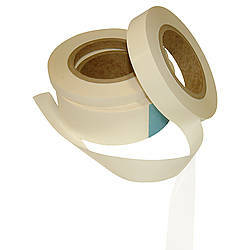 Simply apply adhesive transfer tape with a quick and easy, single-handed process to metal, plastic, foam, paper and more. 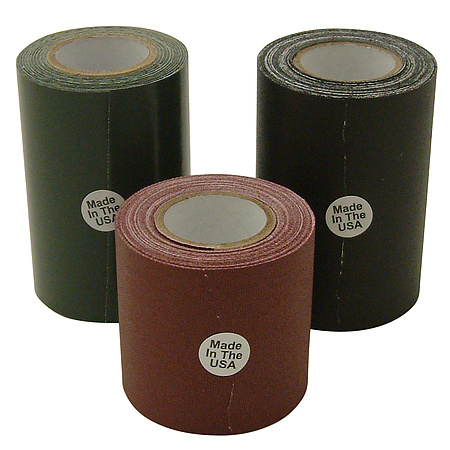 ATG adhesive is designed to flow into surface irregularities to join, mount, and laminate for a variety of projects. The lightweight and portable 3M Scotch 714 applicator is ideal for everything from light home use to heavy-duty industrial applications. 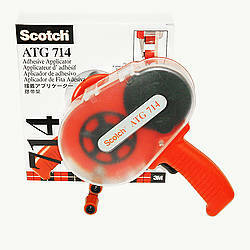 The Scotch 714 Applicator does not require any special preparation or produce any strong odors, fumes, or vapors. 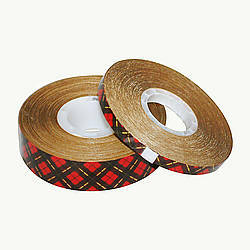 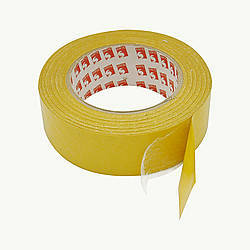 This applicator assures consistent tape thickness without the mess from aerosol adhesive overspray or oozing glue. 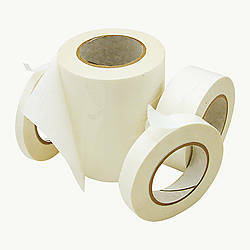 The convenient, transparent cover easily shows the remaining tape and the covered gears help to minimize applicator jams. 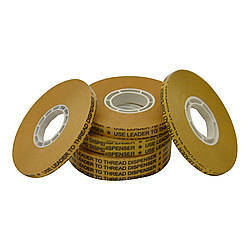 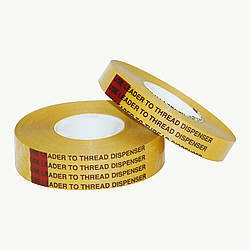 The 714 Dispenser holds up to 60 yards of 1/4-inch wide ATG tape.